The Green Industries course is just one example of our wide range of electives. We’re a small school with big selection. Students seeking additional challenge have opportunities to reach ahead (i.e. by taking a Grade 12 course in Grade 11) or to prepare for one of many Advanced Placement exams, including English Language and Composition, Microeconomics and Calculus. 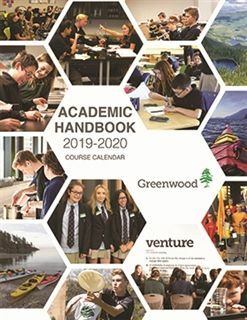 View our Academic Handbook for more information on all courses offered at Greenwood. Students seeking additional challenge have opportunities to reach ahead or to prepare for one of many Advanced Placement exams. All Grade 11 students take “Advanced Learning Strategies: Skills for Success After Secondary School” as a compulsory credit. This course ties in with our Adviser Program and improves students’ learning and personal-management skills, preparing them to make successful transitions to work, training, and/or postsecondary education. A highlight of the course for many students is the “20 time” project: each student devotes 20% of their class time to learning a skill - whether it’s building a mobile app or learning a new language - that supports their post-Greenwood goals. Students looking to explore their career options can get hands-on experience and earn two diploma credits through Greenwood’s co-op program. Delivered through a Grade 11 course, co-op encourages students to investigate specific postsecondary choices based on their skills, interests and personal characteristics. Co-op includes a 120-hour placement with a local organization connected to students’ career goals. Learn more about co-op at Greenwood.